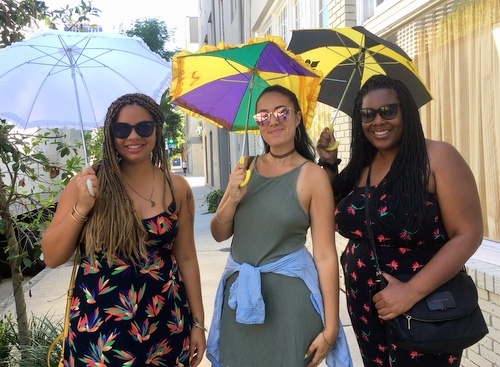 Oakland California residents Teila Evans, Destiny Bennett and Zena Dave’ couldn’t be more excited about the 24th Annual Essence Music Festival which opened Thursday and runs through Sunday. “This is our first time to attend Essence. We’ve been planning this trip for months and are going to take in as many activities as possible,” said Evans, who manages client partnerships at a California company called Envoy. Dave’ is a marketing manager and Bennett works in social media. Female professionals are Essence’s target audience. Since the Essence Festival began in 1994 almost 500,000 people have attended the empowerment seminars and marketplace at the Morial Convention Center, the evening concerts at the Louisiana Superdome and the myriad special events. This year will be no different. The empowerment seminars have become so popular that they are now dubbed the “Essence Empowerment Experience” and will occupy an even larger footprint. Already 70,000 people have signed up for one of the eight conference tracks. Essence’s beauty and style section has blossomed into a major daytime component. New Orleans Fashion Week founder Tracee Dundas has signed on bring New Orleans fashion to the forefront. The marketplace, coordinated by Gina Montana, features more than 100 vendors selling art, jewelry and clothing. Food purveyors include New Orleans based Ma Momma’s House of Cornbread, Chicken and Waffles. New off-campus seminars, known as “E-Suites,” which will connect women executives and entrepreneurs have also been added at the Ace Hotel. In a nod to the cultural shift brought on by the “Me-Too” movement, several of the country’s most iconic African American female performers will headline Essence’s night time concerts. Featuring 40 acts performing on five stages, such stars as Queen Latifah, Janet Jackson, Mary J. Blige, Erukah Badu, Jill Scott, Missy Elliot, and New Orleans’ own Big Freedia will keep the evenings lively. BlackTech Week co-founder Felicia Hatcher is also bringing a version of her four-year old event to New Orleans for networking and seminars, including a presentation by Anatasia Wright, VP of Digital Strategy for Janet Jackson. BlackTech Weekend NOLA is being produced in cooperation local music entrepreneur Damon Batiste and will feature digital marketing strategist Karen Civil. Special events include everything from invitation-only receptions hosted by Congressman Cedric Richmond and Mayor Latoya Cantrell to corporate-sponsored functions like a Hendricks Gin Happy Hour, a Converse All-Stars White Party, Curls, Kinks and Culture at the Octavia Art Gallery as well as Shaka Zulu’s A Cultural Soiree at the Mardi Gras Museum of Culture and Costume. Among the already “sold-out” events is a Black Women’s Empowerment Cocktail Reception at the NOPSI Hotel which is being hosted by former National Democratic Party Chair Donna Bazile, State Democratic Party Chair Karen Carter Peterson, New Orleans born AT&T lobbyist Tanya Lombard and NOPSI Hotel owner Shelia Johnson, one of America’s wealthiest and most prominent African-American women. The Essence Festival presented by Coca Cola markets itself as the largest live event in the U.S. delivering an economic impact of more than $200 million to New Orleans and Louisiana. New Orleans wins because almost all of the city’s hotel rooms and Air B&B’s are sold out. Our restaurants, clubs and shops, taxicabs, Uber and Lyft are doing a booming business. Many of the Essence Marketplace vendors and food purveyors are small business owners based in New Orleans. The Solomon Group is the event producer. What could be better? See you at Essence! 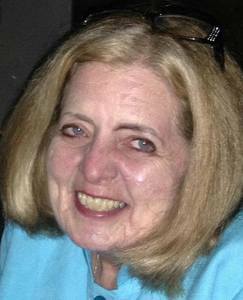 It is unusual for a vacancy to occur on the Civil District Court bench without several strong candidates already lined up to run, but that’s exactly what happened following the untimely death of Judge Clare Jupiter. Now her brother, Traffic Court Judge Steven Jupiter, is said to be considering the race. Jupiter’s name first came up shortly after Judge Clare Jupiter’s funeral and then speculation died down. With qualifying less than two weeks away, his name has resurfaced. Former judicial candidate Richard Perque has already announced that he will qualify and was seen touring a CDC courtroom earlier this week. This will be Perque’s third race for judge. Other potential qualifiers are former candidates Omar Mason and Taetrece Harrison. Though Perque’s fundraising efforts in the recent CDC race against now Judge Ellen Hazeur seemed less than robust, he can tap into family money and his extensive network of friends to mount a strong race. Mason would depend on the fundraising abilities of his powerful law partner Bill Aaron. Harrison would run a low budget campaign. Reached this morning by phone, Jupiter indicated he has not made a final decision. “You will be the first to know,” he quipped jokingly. Though some consultants think Jupiter would be crazy to give up a relatively cushy seat on the Traffic Court bench which also allows him to practice law “on the side,” others understand that Jupiter would run to continue his sister’s legacy at CDC. “Steven Jupiter has been an excellent judge and exhibits the all-important judicial temperament. His family is well respected in the community. If Jupiter qualifies, he will emerge as the frontrunner,” said one consultant.